Infiniti will unveil its first-ever compact car at the International Motor Show in Frankfurt this year (September 17  27, 2015).� Two years after the Infiniti Q30 Concept debuted at the 2013 Frankfurt show, the production version of this segment-spanning compact car will be revealed. Infiniti is in the final stages of preparing for the launch; dynamic testing and ultimate validation is currently taking place across the UK and throughout mainland Europe. Development of the Q30 has been taking place at the company's Engineering Centre in Cranfield, UK since 2014. The Q30 will go on sale in Europe towards the end of 2015 with other world markets to follow. 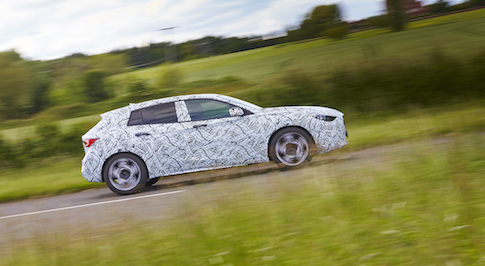 More news on the Infiniti Q30 active compact will be released closer to the Frankfurt show in September.